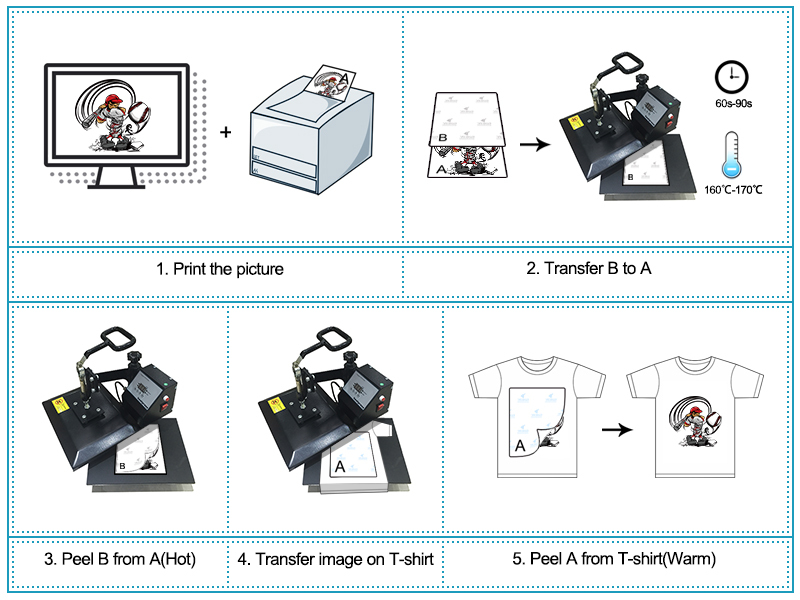 INSTRUCTIONS FOR LASER DARK TRANSFER PAPER (Self-Weeding) 1, Pre-printing a, The selection of laser printer. 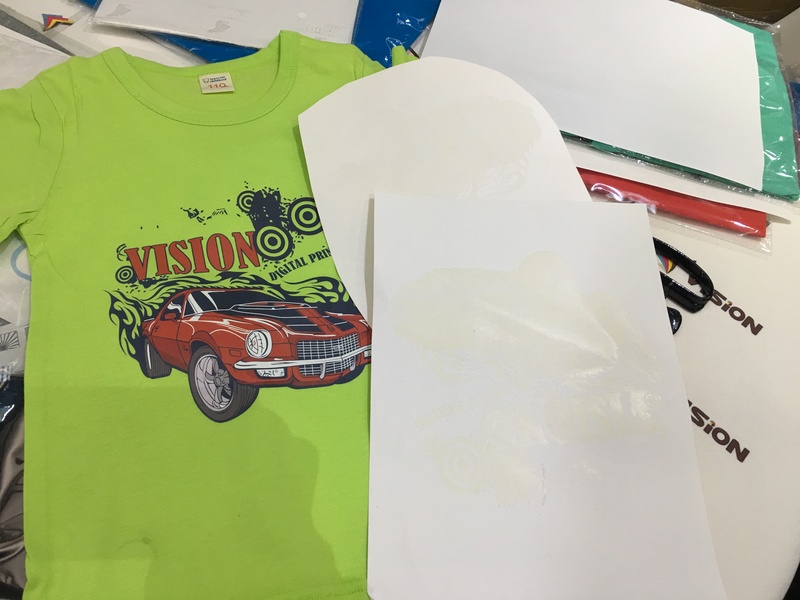 When printing, if there has white color in the image, you should use OKI C711WT, which has white toner. 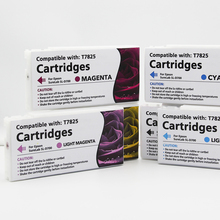 If there has no white color, either OKI C711WT or other normal laser printers are ok. 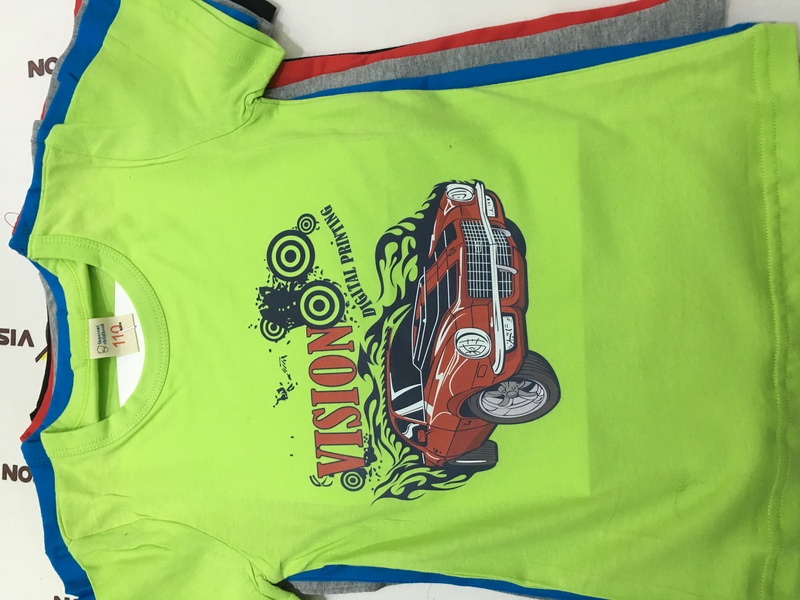 But if possible, we recommend you to use OKI C711WT for the better printing effect. Of course, maybe your T-shirt is all white, so other models of OKI can be your choice. b, “Self-Weeding” have A(Blue Back Label) and B(Gray Back Label). 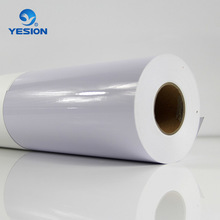 A paper is printing paper, while B Paper is transfer film and the size is smaller than A, so that we can peel B off A smoothly. c, We should choose “Heavy--厚纸” in print attribution. 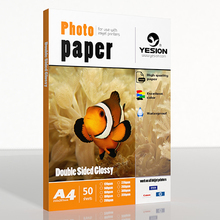 When you print the paper, it should be mirror printing. d, Please pre-adjust the temperature to 160℃-170℃and the time to 60s-90s in a high press, finally depending on your own press machines. b, Put B front side onto A front with pattern(must keep the back labels outside), then overlap. 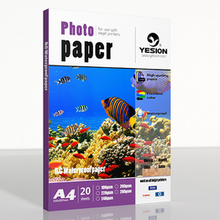 (A paper with pattern must be completely covered by B paper). 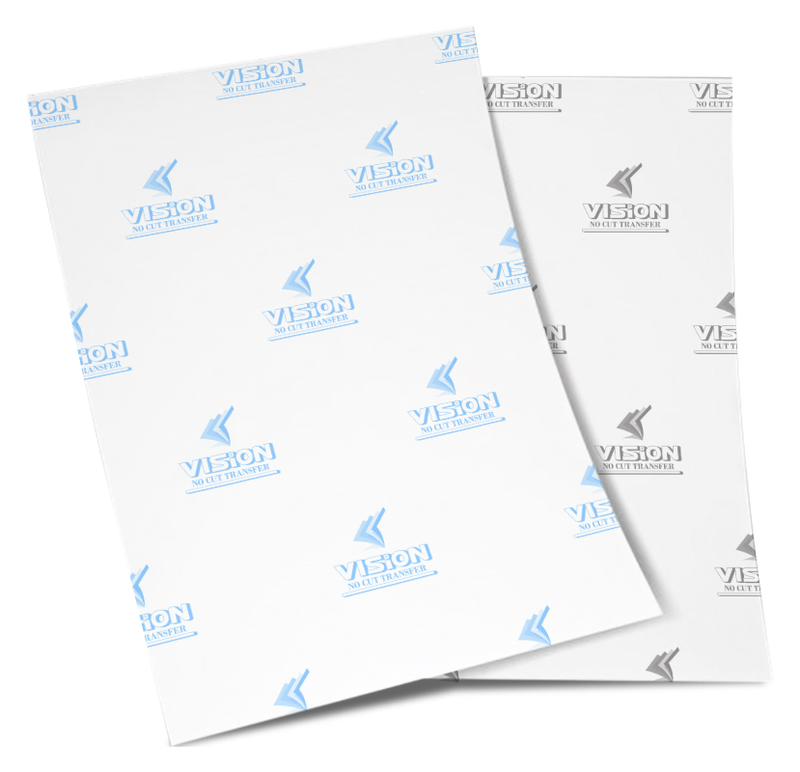 c, Adjust the temperature to 160℃-170℃, and put overlapped AB paper onto the plat, then press for 60s-90s. When time’s up, peel B off A rapidly without leaving the flat (Hot Tear). Must be quick within 1-3s. If there has remaining glue on the edge of A, you need to cut off edge and throw away B paper. 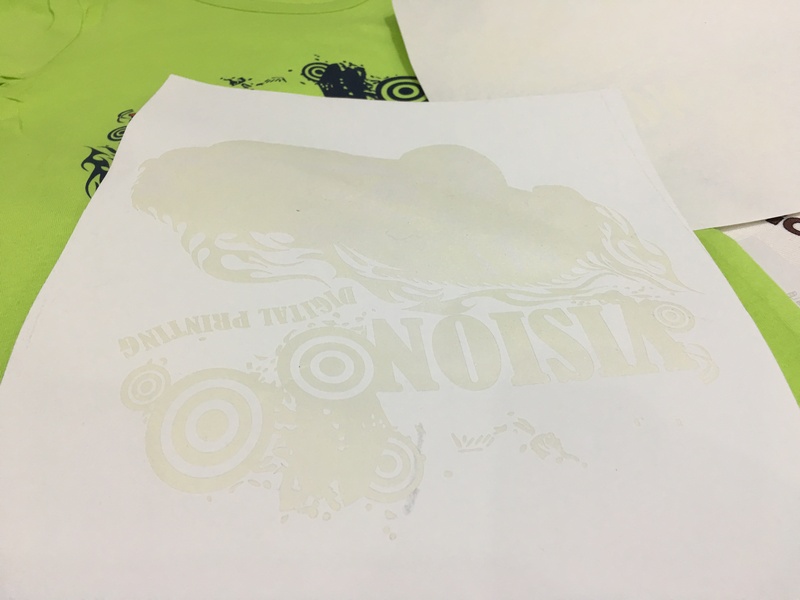 We have cut B paper (gray back labels) into smaller compared to the full-scale. That is when you put B onto A paper, you still can see A paper circles. 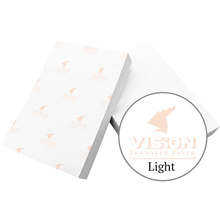 2, Tear off B paper without leaving the hot plate! Hot tear! 3, After you take the T-shirt off the ironing board and leave it for cooling 10-15s, you can Tear off A paper. 4, After transferring, you still need to cover the release paper and press 3-5s to enhance the fastness. 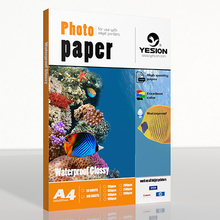 5, This products is only can be printed by color laser printers. 6, Wash after 24hours. When you wanna hands wash, please do not rub the pattern. You would turn over the clothes and the pattern will be inside.